Parallax mapping (also called offset mapping or virtual displacement mapping) is an enhancement of the bump mapping and normal mapping techniques implemented by displacing the texture coordinates at a point on the rendered polygon by a function of the view angle in tangent space (the angle relative to the surface normal) and the value of the height map at that point. At steeper view-angles, the texture coordinates are displaced more, giving the illusion of depth due to parallax effects as the view changes. The term is also used to describe an animation effect commonly used in music videos and, more frequently, title sequences. Brought to wide attention by the motion picture The Kid Stays in the Picture based on the book by film producer Robert Evans, it involves the layering and animating of two-dimensional pictures in three dimensional space. Earlier examples of this technique include Liz Phair's music video Down directed by Rodney Ascher and "A Special Tree" directed by musician Giorgio Moroder. Faux shading and reflections make these desktop icons appear three-dimensional. The term also refers to an often-used effect in the design of icons and graphical user interfaces (GUIs), where a slight 3D illusion is created by the presence of a virtual light source to the left (or in some cases right) side, and above a person's computer monitor. The light source itself is always invisible, but its effects are seen in the lighter colors for the top and left side, simulating reflection, and the darker colours to the right and below of such objects, simulating shadow. An advanced version of this technique can be found in some specialised graphic design software, such as Pixologic's ZBrush. The idea is that the program's canvas represents a normal 2D painting surface, but that the data structure that holds the pixel information is also able to store information with respect to a z-index, as well material settings, specularity, etc. Again, with this data it is thus possible to simulate lighting, shadows, and so forth. Trine 2 features 3D graphics, yet its gameplay is restricted to a 2D plane. The term "2.5D" is also applied to 3D games that use polygonal graphics to render the world and/or characters, but whose gameplay is restricted to a 2D plane. Examples include Pandemonium!, Einhänder, Klonoa: Door to Phantomile, Kirby 64: The Crystal Shards (although the scene moves towards and away from the camera), LittleBigPlanet (although it features a playing field three layers thick), Nights into Dreams... and New Super Mario Bros. The Crash Bandicoot series is sometimes referred to as 2.5D because the characters and scenery are rendered in 3D, yet most of its levels are not as free-roaming as "true" 3D platformers. Some fighting games such as the Super Smash Bros. series, Marvel vs. Capcom 3, Street Fighter IV, Mortal Kombat, BlazBlue, Guilty Gear Xrd and The King of Fighters XIV also utilize 2.5D to showcase 3D backdrops and/or characters while limiting the action to a 2D plane. 2D scrolling shooters are another genre in which 3D graphics are often used in a 2D game, such as in Ikaruga. In some games, such as Goemon's Great Adventure and Pandemonium!, the area of gameplay can be described as a two-dimensional surface twisting and bending in a three-dimensional space. Inside this surface, the character and physics behave like in a traditional sidescrolling platformer. There are, however, a number of twists that aren't possible with normal sidescroller platformers: it is common in such games to let the two-dimensional plane cross itself or other planes on certain points, thus creating "track switches" in the course. Players can explore different areas of the 3D world that way or can be brought back to previous points seamlessly. 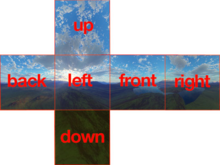 Interactions with the "background" (non-accessible points in the 3D landscape) are also used extensively. Other 2.5D games allow the character to interact with objects out of the primare 2D plane; for example in the platformer-shooter Shadow Complex, the player may need to target and fire at enemies that are in the background of the scene. The first video games that used pseudo-3D were primarily arcade games, the earliest known examples dating back to the mid-1970s, when they began using microprocessors. In 1975, Taito released Interceptor, an early first-person shooter and combat flight simulator that involved piloting a jet fighter, using an eight-way joystick to aim with a crosshair and shoot at enemy aircraft that move in formations of two and increase/decrease in size depending on their distance to the player. In 1976, Sega released Moto-Cross, an early black-and-white motorbike racing video game, based on the motocross competition, that was most notable for introducing an early three-dimensional third-person perspective. Later that year, Sega-Gremlin re-branded the game as Fonz, as a tie-in for the popular sitcom, Happy Days. Both versions of the game displayed a constantly changing forward-scrolling road and the player's bike in a third-person perspective where objects nearer to the player are larger than those nearer to the horizon, and the aim was to steer the vehicle across the road, racing against the clock, while avoiding any on-coming motorcycles or driving off the road. That same year also saw the release of two arcade games that extended the car driving subgenre into three dimensions with a first-person perspective: Sega's Road Race, which displayed a constantly changing forward-scrolling S-shaped road with two obstacle race cars moving along the road that the player must avoid crashing while racing against the clock, and Atari's Night Driver, which presented a series of posts by the edge of the road though there was no view of the road or the player's car. Games using vector graphics had an advantage in creating pseudo-3D effects. 1979's Speed Freak recreated the perspective of Night Driver in greater detail. In 1979, Nintendo debuted Radar Scope, a shoot 'em up that introduced a three-dimensional third-person perspective to the genre, imitated years later by shooters such as Konami's Juno First and Activision's Beamrider. In 1980, Atari's Battlezone was a breakthrough for pseudo-3D gaming, recreating a 3D perspective with unprecedented realism, though the gameplay was still planar. It was followed up that same year by Red Baron, which used scaling vector images to create a forward scrolling rail shooter. Sega's arcade shooter Space Tactics, released in 1980, allowed players to take aim using crosshairs and shoot lasers into the screen at enemies coming towards them, creating an early 3D effect. It was followed by other arcade shooters with a first-person perspective during the early 1980s, including Taito's 1981 release Space Seeker, and Sega's Star Trek in 1982. Sega's SubRoc-3D in 1982 also featured a first-person perspective and introduced the use of stereoscopic 3-D through a special eyepiece. Sega's Astron Belt in 1983 was the first laserdisc video game, using full-motion video to display the graphics from a first-person perspective. Third-person rail shooters were also released in arcades at the time, including Sega's Tac/Scan in 1982, Nippon's Ambush in 1983, Nichibutsu's Tube Panic in 1983, and Sega's 1982 release Buck Rogers: Planet of Zoom, notable for its fast pseudo-3D scaling and detailed sprites. In 1981, Sega's Turbo was the first racing game to feature a third-person perspective, rear view format. It was also the first racing game to use sprite scaling with full-colour graphics. Pole Position by Namco is one of the first racing games to use the trailing camera effect that is now so familiar. In this particular example, the effect was produced by linescroll—the practice of scrolling each line independently in order to warp an image. In this case, the warping would simulate curves and steering. To make the road appear to move towards the player, per-line color changes were used, though many console versions opted for palette animation instead. Zaxxon, a shooter introduced by Sega in 1982, was the first game to use isometric axonometric projection, from which its name is derived. Though Zaxxon's playing field is semantically 3D, the game has many constraints which classify it as 2.5D: a fixed point of view, scene composition from sprites, and movements such as bullet shots restricted to straight lines along the axes. It was also one of the first video games to display shadows. The following year, Sega released the first pseudo-3D isometric platformer, Congo Bongo. Another early pseudo-3D platform game released that year was Konami's Antarctic Adventure, where the player controls a penguin in a forward-scrolling third-person perspective while having to jump over pits and obstacles. It was one of the earliest pseudo-3D games available on a computer, released for the MSX in 1983. That same year, Irem's Moon Patrol was a side-scrolling run & gun platform-shooter that introduced the use of layered parallax scrolling to give a pseudo-3D effect. In 1985, Space Harrier introduced Sega's "Super Scaler" technology that allowed pseudo-3D sprite-scaling at high frame rates, with the ability to scale 32,000 sprites and fill a moving landscape with them. The first original home console game to use pseudo-3D, and also the first to use multiple camera angles mirrored on television sports broadcasts, was Intellivision World Series Baseball (1983) by Don Daglow and Eddie Dombrower, published by Mattel. Its television sports style of display was later adopted by 3D sports games and is now used by virtually all major team sports titles. In 1984, Sega ported several pseudo-3D arcade games to the Sega SG-1000 console, including a smooth conversion of the third-person pseudo-3D rail shooter Buck Rogers: Planet of Zoom. With the advent of consoles and computer systems that were able to handle several thousands of polygons (the most basic element of 3D computer graphics) per second and the usage of 3D specialized graphics processing unit, pseudo 3D became obsolete. 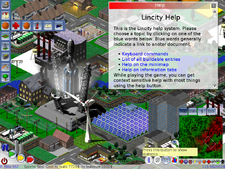 But even today, there are computer systems in production, such as cellphones, which are often not powerful enough to display true 3D graphics, and therefore use pseudo-3D for that purpose. Interestingly, many games from the 1980s' pseudo-3D arcade era and 16-bit console era are ported to these systems, giving the manufactures the possibility to earn revenues from games that are now nearly twenty years old. By 1989, 2.5D representations were surfaces drawn with depth cues and a part of graphic libraries like GINO. 2.5D was also used in terrain modeling with software packages such as ISM from Dynamic Graphics, GEOPAK from Uniras and the Intergraph DTM system. 2.5D surface techniques gained popularity within the geography community because of its ability to visualize the normal thickness to area ratio used in many geographic models; this ratio was very small and reflected the thinness of the object in relation to its width, which made it the object realistic in a specific plane. These representations were axiomatic in that the entire subsurface domain was not used or the entire domain could not be reconstructed; therefore, it used only a surface and a surface is one aspect not the full 3D identity. The resurgence of 2.5D or visual analysis, in natural and earth science, has increased the role of computer systems in the creation of spatial information in mapping. GVIS has made real the search for unknowns, real-time interaction with spatial data, and control over map display and has paid particular attention to three-dimensional representations. Efforts in GVIS have attempted to expand higher dimensions and make them more visible; most efforts have focused on "tricking" vision into seeing three dimensions in a 2D plane. Much like 2.5D displays where the surface of a three dimensional object is represented but locations within the solid are distorted or not accessible. The reason for using pseudo-3D instead of "real" 3D computer graphics is that the system that has to simulate a three dimensional-looking graphic is not powerful enough to handle the calculation-intensive routines of 3D computer graphics, yet is capable of using tricks of modifying 2D graphics like bitmaps. One of these tricks is to stretch a bitmap more and more, therefore making it larger with each step, as to give the effect of an object coming closer and closer towards the player. Even simple shading and size of an image could be considered pseudo-3D, as shading makes it look more realistic. If the light in a 2D game were 2D, it would only be visible on the outline, and because outlines are often dark, they would not be very clearly visible. However, any visible shading would indicate the usage of pseudo-3D lighting and that the image uses pseudo-3D graphics. Changing the size of an image can cause the image to appear to be moving closer or further away, which could be considered simulating a third dimension. Dimensions are the variables of the data and can be mapped to specific locations in space; 2D data can be given 3D volume by adding a value to the x, y, or z plane. "Assigning height to 2D regions of a topographic map" associating every 2D location with a height/elevation value creates a 2.5D projection; this is not considered a "true 3D representation", however is used like 3D visual representation to "simplify visual processing of imagery and the resulting spatial cognition". ^ Pile Jr, John. 2D Graphics Programming for Games. New York, NY: CRC Press. May 2013. ISBN 1466501898. ^ Paul, Wyatt. The Art of Parallax Scrolling (PDF). August 2007 [2009-07-06]. （原始内容 (PDF)存档于2009-10-07）. ^ Stahl, Ted. Chronology of the History of Video Games: Golden Age. 2006-07-26 [2009-11-21]. （原始内容存档于27 November 2009）. ^ Bakalar, Jeff; Stein, Scott. Shadow Complex: Classic gaming bliss in two-and-a-half dimensions. CNet. August 21, 2009 [August 26, 2016]. ^ Tomohiro Nishikado's biography at his company's web site. Dreams, Inc. [2011-03-27]. （原始内容存档于2009-04-01）. ^ Gaming's most important evolutions. GamesRadar. （原始内容存档于2011-06-15）. ^ 33.0 33.1 33.2 33.3 Raper, Jonathan. “The 3-dimensional geoscientific mapping and modeling system: a conceptual design.” In Three dimensional applications in Geographic Information Systems, edited by Jonathan F. Raper, 11–19. Philadelphia: Taylor and Francis Inc., 19. ^ 34.0 34.1 34.2 34.3 MacEachren, Alan. "GVIS Facilitating Visual Thinking." In How Maps Work: Representation, Visualization, and Design, 355–458. New York: The Guilford Press, 1995.